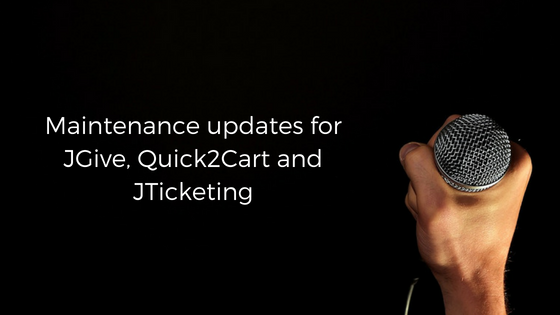 We are happy to announce the release of Quick2Cart 2.9.13, JTicketing 2.2.5 and JGive 2.1.9. These releases mainly address an important security issue we found in our internal audits. Besides this, each extension ships with a few bug fixes. All the releases are compatible with the most recent version of Joomla, Joomla 3.8.11. Read on for the detailed changelog for all the extensions. Task #131702 - Ticket email includes Google calendar invite in it.